Many states and countries are passing laws to stop usage of mobile devices while driving. 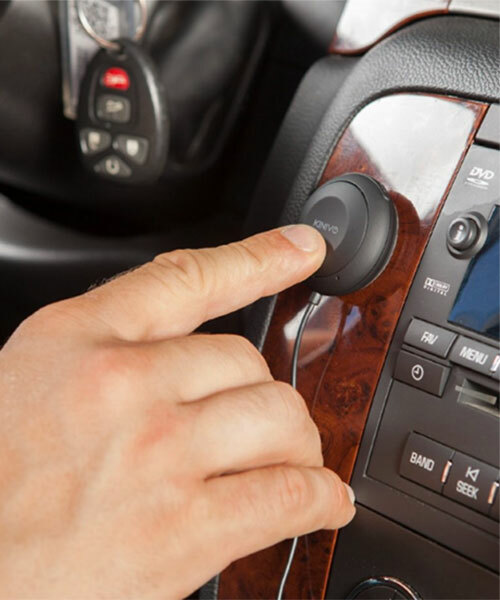 If your car radio unit has a Bluetooth system, you can use your phone wirelessly and hands-free. 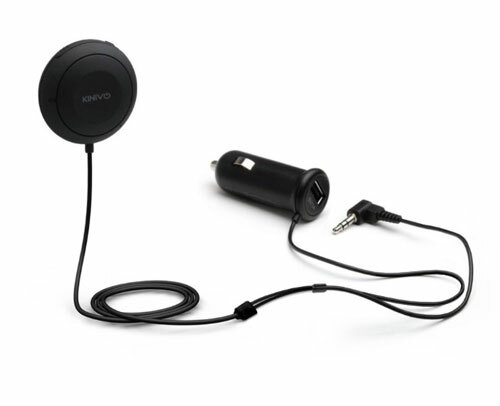 If you do not have it yet, the BTC450 Hands-Free Bluetooth Car Kit can add it at a low cost. The kit is very simple to install and requires no special tools. 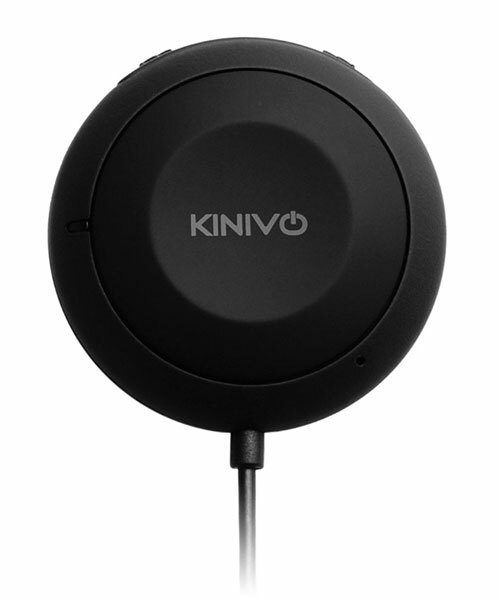 Plug it into a 12V socket in your car, plug the 3.5mm audio jack into the Aux-input of your car radio, stick the controller on your car dashboard in safe reach of your hand, and pair it with your phone with Bluetooth. 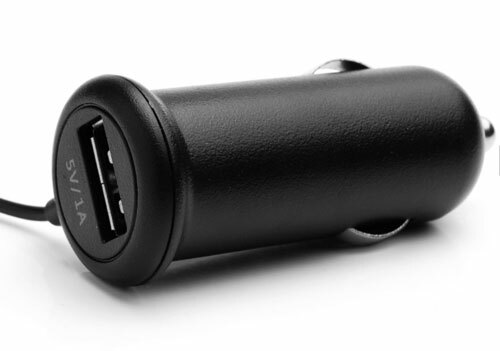 The 12V adaptor provides a USB jack to charge your phone while driving, but it is not required to connect your phone via USB to use the device: it all works wirelessly. The controller offers three buttons: Previous song, Next song, and a Multifunction button. When I listened to music, the seeking buttons were working as expected, and while listening to podcasts, I was happily surprised it was skipping backward/forward into the podcast (not skipping to previous/next podcast). The Multifunction button is used to answer/hang up calls, start/stop music playing, or for voice command (such as Hey, Siri). If you want to add Bluetooth to your car and do not wish to replace your current car radio system, I recommend you give a look at the BTC450 Hands-Free Bluetooth Car Kit. For the price and ease of installation, it is difficult to beat. How does the adhesive work? Can you remove it and toss into the glove to avoid breaking and theft each time you leave the car? Considering that the controls are on the device itself, hiding it is probably not a good idea.